A young girl doing a morning jog in the Park. 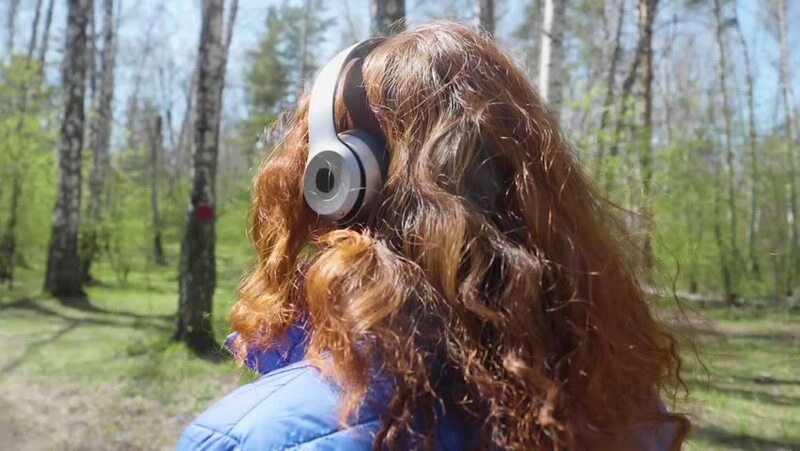 Girl listening to music through headphones. Healthy lifestyle. hd00:21Pekingese dog and Yorkshire terrier sits next to his mistress on the grass. She caresses one of the dogs.